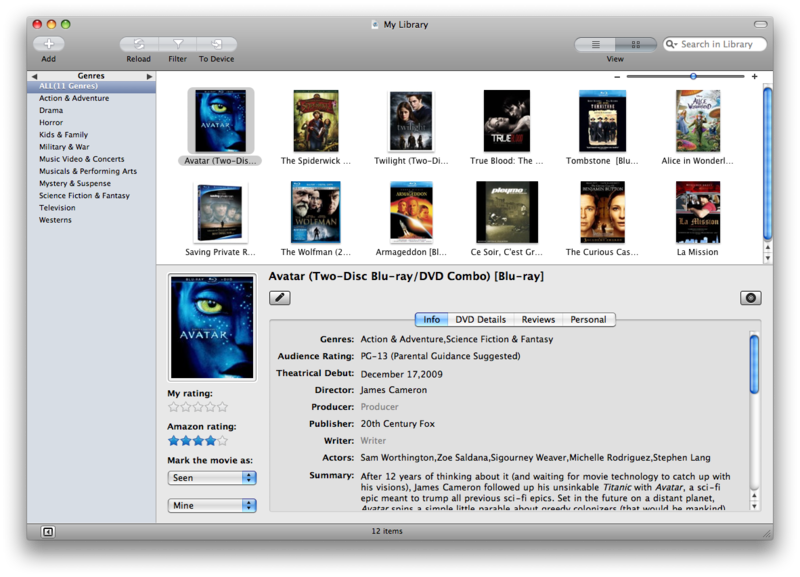 Wondershare Media Library is an expert to help you organize, catalog, backup your DVD collections and build your own DVD library on Mac, with it you can retrieve DVD info, details, reviews from Amazon, and remark your DVD status as seen, haven't seen, bought, lent. This DVD organizer is also an efficient Mac DVD backup application; it enables you to make 1:1 copy for both commercial and homemade DVD movies without quality loss. ...... DVD library with entire information. 2. Save your time and shelf from organizing large DVD collection. You don?t need to take hours even days to catalog DVDs, while it only takes you 1 minute to add a DVD in your DVD library for quick organization. 3. You can know quickly and visually which DVDs you own, how many of them, in case of duplicate purchases. You are also allowed to remark DVD status such as having seen or not, lent or not, and bought or not, to keep a perfect insurance list. All DVD status can be cataloged by a filter. Besides, you can edit DVD information, add your won ranking, reviews and remark who and when has borrowed it. 4. Create superb 1:1 DVD copies as .dvdmedia files without losing any DVD quality. Backup your favorite DVD movies to your Mac, so that you can watch DVD movies anytime and anywhere without carrying DVD discs. You can also share the backups with friends which avoids DVD damages caused by lending. Qweas is providing links to Wondershare Media Library for Mac 1.0.0 as a courtesy, and makes no representations regarding Wondershare Media Library for Mac or any other applications or any information related thereto. Any questions, complaints or claims regarding this application Wondershare Media Library for Mac 1.0.0 must be directed to the appropriate software vendor. You may click the publisher link of Wondershare Media Library for Mac on the top of this page to get more details about the vendor.